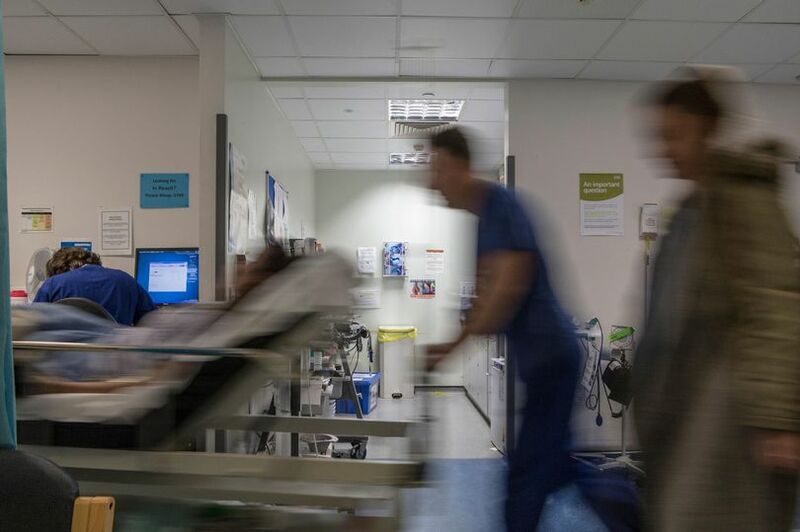 Two personal experiences of how the NHS treats acute emergency patients has ­convinced me we have a ­service second to none for acute ­medical cases. But then again I live in central London. Each time the paramedics have offered me the choice of three hospitals with crack A&E departments and each time I’ve opted for St ­Thomas’s, which I reckon to be among the best on the planet. Each time I’ve been seen within three minutes and a doctor arrived within 10. I was never placed on a trolley in a corridor and left waiting for hours, and tests were done shortly after arrival. Emergency treatment was started in the ambulance by ­paramedics before I reached A&E. I know it isn’t the same in other parts of the country. A friend who had the symptoms and signs of an obviously infected ­gallbladder (a surgical emergency) at the only A&E department in ­Northumberland waited seven hours to see a doctor and a further seven to get life-saving antibiotics the doctor had prescribed. I know this is reflected around the country. Only one in seven patients arriving at A&E with a risky condition is seen by a consultant doctor, a major audit of 24,000 patients at 180 NHS hospitals found. The Royal College of Emergency Medicine audit focused on four risky conditions which their guidelines say should always involve a consultant review: babies under the age of 12 months with a fever; adults over the age of 30 with chest pain; over-70s with abdominal pain; anyone returning to A&E within 72 hours of discharge. At the worst quarter of hospitals these figures dropped to 0% for feverish infants, 5% for chest pain, 4% for abdominal pain and 6% for returning patients. One of the worst examples is that half of patients with sepsis symptoms wait more than an hour for treatment. Without rapid care, sepsis quickly takes hold of the body, leading to multiple organ failure and death. But a study involving 13,000 patients found only 44% got antibiotics within an hour of arriving at A&E, 45% were offered a blood test and 43% got ­intravenous fluids within 60 minutes. The audit also found 31% of patients with these symptoms did not undergo a full set of observations including temperature, breathing rate, blood tests and urine output.